Life is full of ups and downs and some things in between. Some of the downs can be spectacularly painful and can knock you out for the count, but somehow most of us manage to pick ourselves up and get back in the fray. When you think about it, there’s really no choice. We were reminded of rising from the ashes of defeat and self destruction by an article in the sports section of the August 4th LA Times by Bill Plaschke about professional baseball player Gilberto Reyes, a backup catcher, for the 1988 World Series winning LA Dodgers. The story is about Gilberto being brought up from the minor leagues to replace the injured catcher in the final winning game and arriving there just as the game ended and missing playing in that game by literally a minute. He then drifted to a life that hit rock bottom before finding stable ground. It’s the usual litany of missed opportunities, alcohol abuse, and landing in jail on a marijuana charge (his trial ended with a hung jury and the charges were dismissed). Now sober for more than 10 years and with strong family support, married 28 years and the father of 3, he is now a patient care technician in a major hospital in New Mexico where his supervisors praise his skills, leadership and his human touch. People like Gilberto make us wonder how they can rebuild their lives after devastating blows and find yet another path to be responsible, productive and caring. 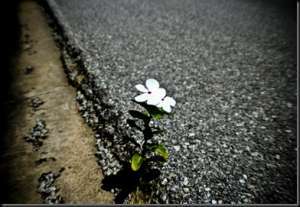 No one really knows how resilient he or she can be until something major happens. The ability to cope with problems and setbacks is built into us in varying degrees. While some people seem to be resilient naturally, most of us learn these behaviors: It’s the been there-done part of life 101 that builds resiliency into our makeup. The way we respond and recover from problems and challenges such as job loss, financial setbacks, illness, medical emergencies, divorce or death of a loved one is as unique as we are. So what’s the major difference between those who are resilient and those who may falter in the face of crisis? Flexibility is an essential part of resilience and by learning to be more adaptable and creative in the midst of disasters resilient people are able to use those events as an opportunity to branch out in new directions and mitigate the damage. Sometimes it does take a village to help in these types of situations from family and friends, to financial reserves and psychological guidance, how we deal with being knocked down can often tell us more about what’s meaningful and inside of us than any other defining factor.